It may be time to switch petrol stations. COLES Express has the most expensive average petrol prices in Australia, with Woolworths and the independents generally the cheapest, according to the consumer watchdog, which says it "might be time to consider" switching. The latest petrol report from the Australian Competition and Consumer Commission (ACCC) analysed the annual average petrol prices in Sydney, Melbourne, Brisbane, Adelaide and Perth for 2017, with Coles Express the most expensive in each city by between 12-18 per cent above the average. Average price differences between retailers ranged from 9.5 cents per litre in Sydney to 3.6 cents per litre in Melbourne. The cheapest retailers were Speedway in Sydney, United in Melbourne and Brisbane, Liberty in Adelaide and Vibe in Perth. 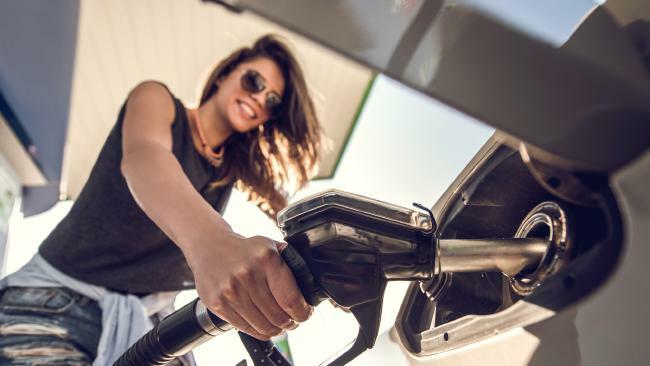 "Our analysis of petrol prices shows the range between major retailers with the highest average price and lowest average price varied across each city considerably," ACCC chairman Rod Sims said in a statement on Sunday. "Independent chains were the lowest priced in each of the five major cities and Woolworths was generally below the market average price in most cities. "Average prices at Coles Express were the highest in all five cities, and average prices at retail sites where BP and Caltex head office sets the retail price were generally above the market average price. "The majority of consumers tend to go to the same petrol station every time they fill up. This research shows it might be time to consider which station to fill up at." The ACCC said since 2007, the difference between the highest and lowest price had increased significantly, highlighting the need to shop around. "What this analysis tells us is the decision about which retailer to buy petrol from is even more important in 2017 than it was in 2007," Mr Sims said. "Retailers' prices are not the same. They price differently and have different strategies to get you to fill up with them. "We want to remind drivers there are plenty of apps they can download for free that will tell them where to buy the cheapest petrol in their area. Many people are paying more than they need to for petrol. "Shopping around has the added benefit of increasing competition by putting pressure on retailers who charge the most to lower their prices or risk losing customers." There are a number of consumer apps available to find the best deal, including 7-Eleven, Woolworths, NRMA's MyNRMA and RACWA's RAC Go. In NSW and Northern Territory, retailers are required by law to report real-time price data, which is fed into the FuelCheck and MyFuelNT apps. The MotorMouth app uses national data supplied by industry body Informed Sources, while the GasBuddy app relies on crowdsourced data.